Item # 302527 Stash Points: 2,399 (?) This is the number of points you get in The Zumiez Stash for purchasing this item. Stash points are redeemable for exclusive rewards only available to Zumiez Stash members. To redeem your points check out the rewards catalog on thestash.zumiez.com. 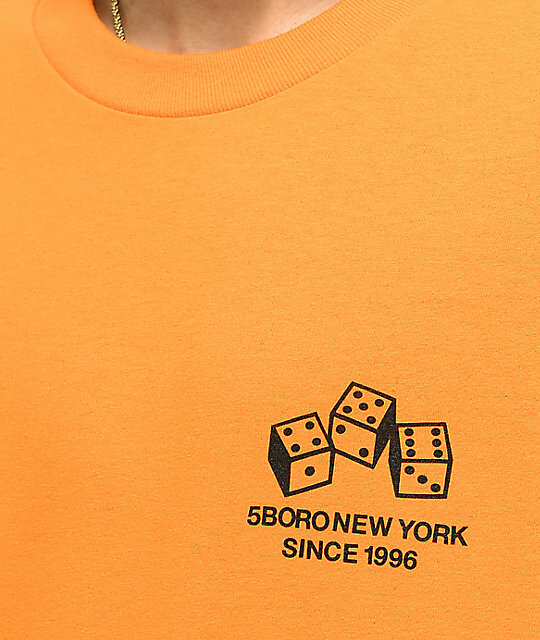 Support the New York skate scene and complete your laid back outfits with 5Boro's 4-5-6 Dice Orange T-Shirt. 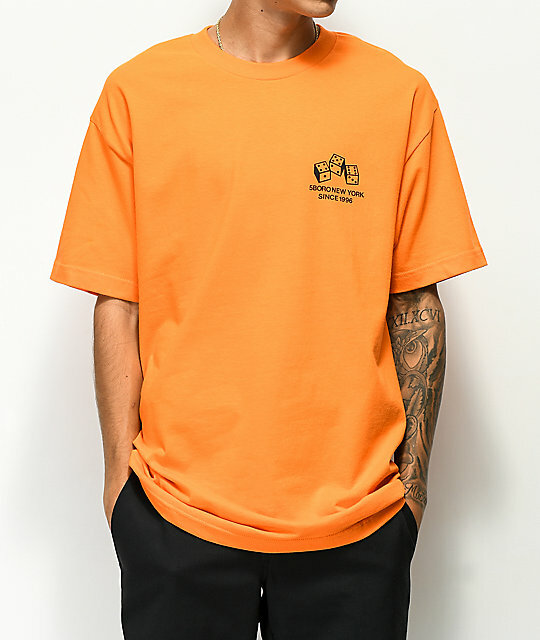 This cotton constructed tee features a dice and logo script brand graphics located on both the left chest and back. 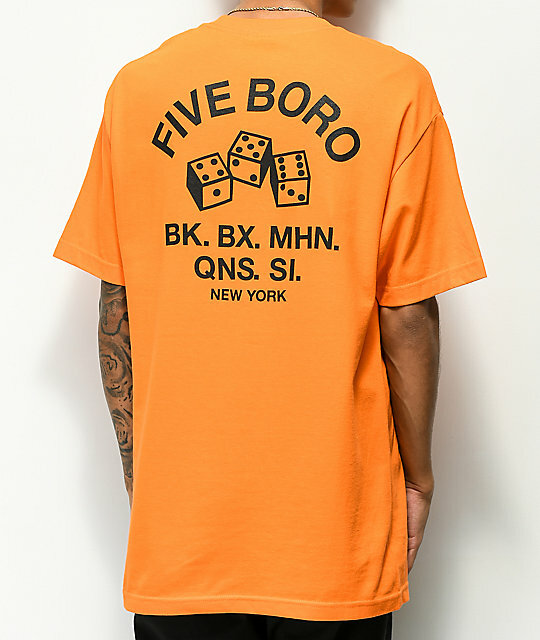 4-5-6 Dice Orange T-Shirt from 5Boro. Matching screen printed logo graphics on left chest and back. 32" (81cm) from top shoulder to bottom hem.